Come to daddy. Visit North Korea kicks off a massive add campaign to attract foreign tourists to the country. -We need the money, we need their clothes, their skills, we need everything. A 2 year vacation costs the same as a 2 weeker, but you can`t get the 2 weeks. 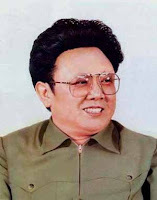 If you visit North Korea, don`t plan on seeing your family anytime soon, if ever... Have a long trip!